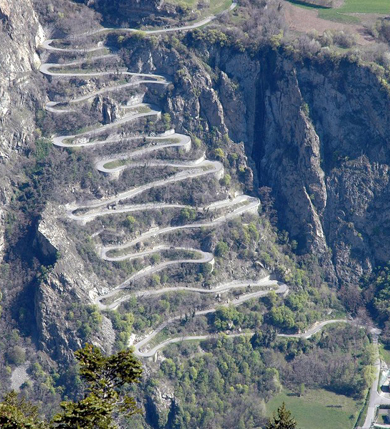 Here's video of the descent of the Lacets de Montvernier, 18 switchbacks that descend nearly 1,250 feet in only 2 miles. It's a crazy road that is unlike any I've seen or ridden. Note the Montvernier church at the upper right of the photo below - the village is above the church.